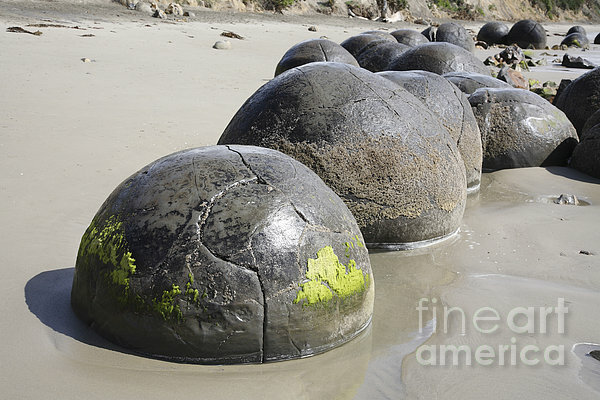 There are no comments for Moeraki Boulders, Koekohe Beach, New. Click here to post the first comment. 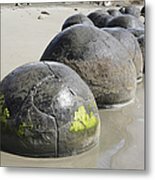 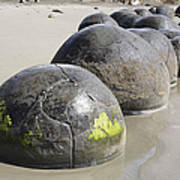 November 13, 2007 - Moeraki Boulders, spherical septarian concretions created by cementation of Paleocene mudstone of the Moeraki formation, Koekohe Beach, New Zealand.